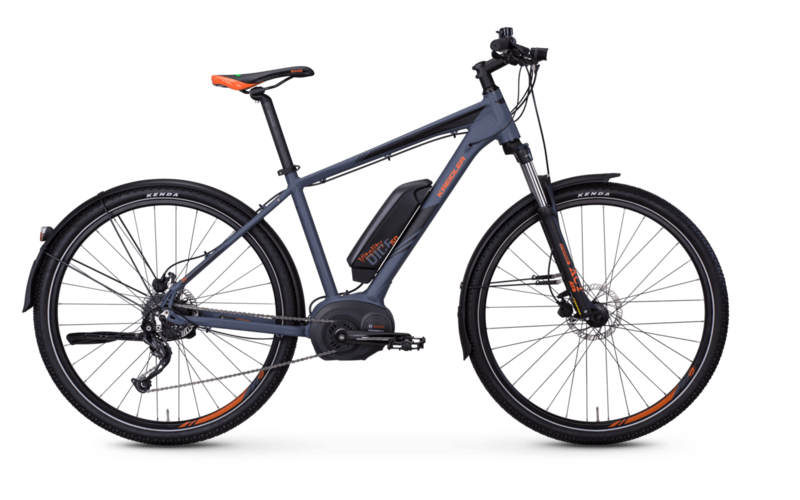 As a roadworthy mountain bike with electric drive, the Vitality Dice 5.0 impresses with the robust Shimano Alivio 9-speed cassette and a thoroughly solid and roadworthy complete equipment. The Suntour XCT e-bike, which weighs just over 20 kg, offers a proven suspension fork with 100 mm travel and the clever lock-out function. The E-MTB's powerful 250 W mid-mounted motor comes from the Bosch Performance series and is driven by a powerful 400 Wh power pack. Equipped with SKS mudguards and an LED lighting system, this E-MTB is also suitable for driving to work, shopping or touring in bad weather.